Nestled on a lofty bluff surrounded by large oak trees, SeaScape Manor, a New Jersey Shore bed and breakfast, proudly overlooks the Atlantic Ocean and Sandy Hook National Park below. Panoramic ocean views, seclusion, casual elegance, all come to mind when you visit the haven of this comfortable and elegant New Jersey Inn. 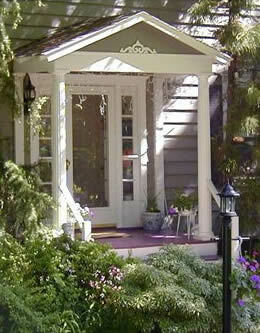 Once a private nineteenth-century home, it still retains all its original charm. From the comfortable parlor with its crackling fire, to the handsome New Jersey Shore lodging with world-class views, and tasteful array of antiques, no detail has been overlooked. On the main deck overlooking the Atlantic, a mouth-watering gourmet breakfast greets you each morning. Awake to the aroma of freshly ground coffee, gourmet muffins directly from the oven, sparkling juice and tangy fresh fruit served on fine china and beautiful linens. Following with a choice of entree favorites like Peaches and Cream French Toast, Blackberry Banana Crepes or Fluffy Omelets, breakfast will definitely delight your taste buds. 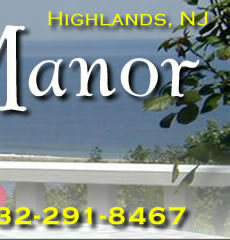 Only minutes away from bustling New York City, SeaScape Manor in Highlands, NJ is worlds apart. Unwind and relax in the beauty of nature, just a 35-minute ferry ride from Broadway Shows, the Statue of Liberty, Yankee Stadium, Madison Square Garden and all the excitement of the city. Discover 8 miles of ocean beaches and bay beaches on Sandy Hook National Recreation Area. Explore Sandy Hook Lighthouse and Twin Lights Lighthouse and Museum, rock to a concert on the beach, hike along miles of hiking and biking trails, wager a bet at the Monmouth Race Track, search for antiques and unique gifts as you begin to feel refreshed and revitalized. 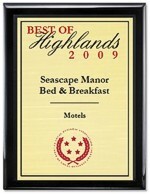 Waterside dining and award winning seafood restaurants await you in Highlands. Travel along Bay Avenue and select from casual outside dining to elegant 5-star ambiance. Grab a pizza or try Mexican or Cuban food. 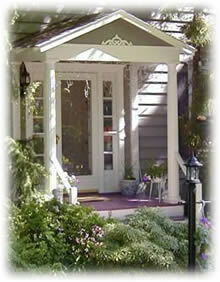 Whatever your pleasure, you are sure to find it within a few minutes of the SeaScape Manor Inn. 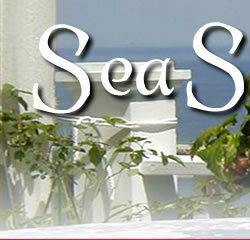 Year round, Seascape is an appealing scene with candles in the windows and seasonal touches throughout the B&B. Guests can breakfast in the glow of the parlor hearth in the cooler months. Holidays are extra special when SeaScape grows even lovelier with opulent decorations. Experience the quiet and beauty of winter at the shore. SeaScape is open to welcome you throughout the year. 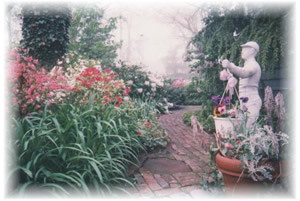 For a romantic weekend or business excursion, you’ll find the peaceful and beautiful SeaScape Manor B&B makes the perfect hotel lodging alternative. 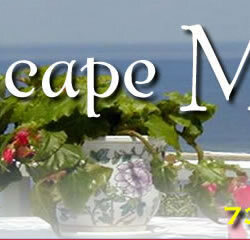 Reserve your escape today.